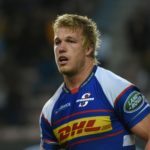 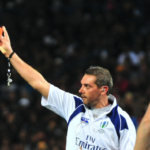 Pieter-Steph du Toit was named Player of the Year at the WPRFU Awards evening on Tuesday. 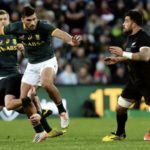 Damian de Allende believes the Springboks’ heartbreaking loss to the All Blacks could serve as an important learning curve ahead of the 2019 World Cup, writes CRAIG LEWIS in Pretoria. 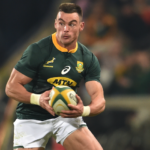 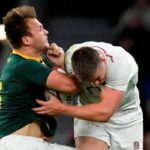 Damian de Allende and Jesse Kriel are set to start their 11th Test as a centre combination in the Springboks’ clash against the All Blacks this Saturday, writes CRAIG LEWIS in Pretoria. 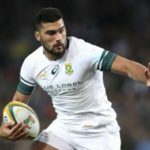 Damian de Allende must make the most of his starting opportunities in what should be a watershed tour for the 25-year-old, writes CRAIG LEWIS. 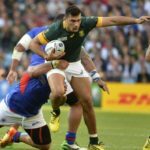 Allister Coetzee has made three changes to the Springbok starting lineup for Saturday’s match against Ireland in Dublin. 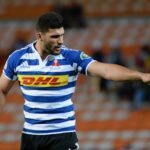 Damian de Allende has received no further sanction for his late tackle on Lima Sopoaga that resulted in a red card.